For want of a better reference scale, I've laid some CDs on the pack. The main compartment is a little more than 18" tall and 12" wide. The "accessory" compartment at the bottom of the pack (to the right on this picture) is about 8x12". 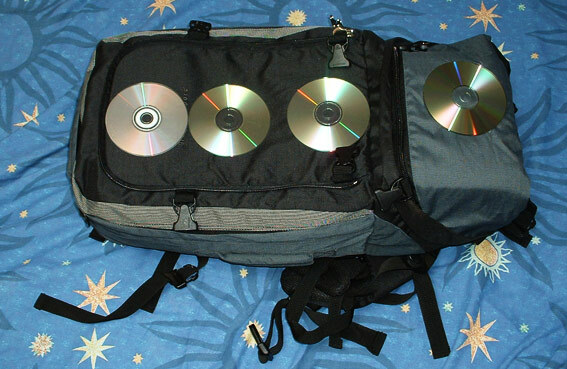 The day pack (not shown here) is about 12x18x7".